Our stylish multi-touch tables are available in low level coffee table height, standing or bar stool height. 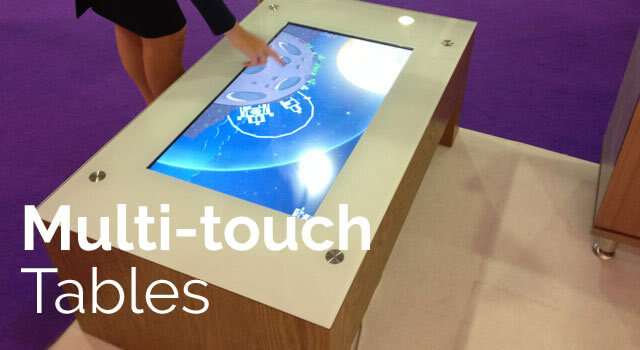 We have access and expert knowledge of the many different touch technologies suitable for touch table manufacture, which means we can build and sell tables in good, better and best to meet your requirements. For those who want content that can be spun round to the opposite side of the table, we highly recommend our Windows 8 option with multi-touch software, which creates a stunning interactive presentation in very little time.